Serve "neat" in a cordial glass at room temperature. Like a fine brandy or Cognac, it warms nice while held in your hands. This liqueur was created, like other anise flavored beverages, after the spirit Absinthe was banned in the U.S. and many western European countries in the early 1900's. There are a couple of reasons for the three coffee beans. 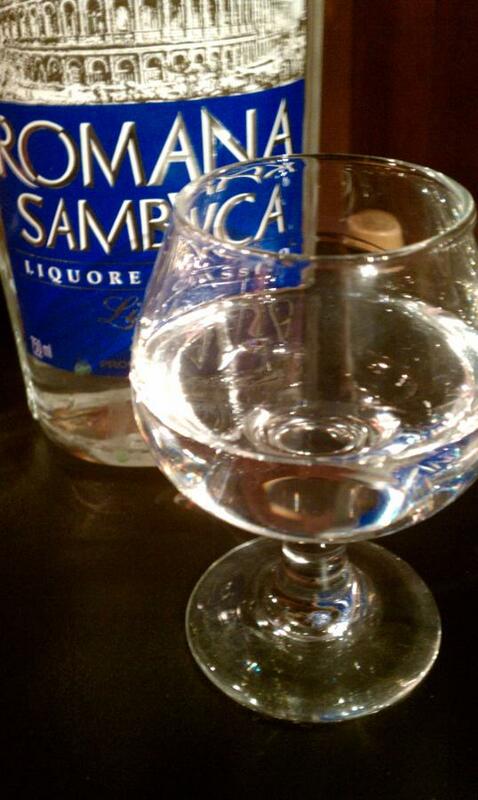 Romana Sambuca says it is for "luck". General theory states that it said that the beans represent 1.Health, 2.Happiness, and 3.Prosperity. European lore believes that it was a sign to American and British military from the "underground", not to speak openly in cafe's during the war due to German infiltration and spies. 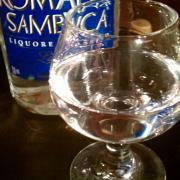 I'll go with the idea that it enhances the anise flavor of the Sambuca,.. especially if chewed during drinking. Have you ever seen this drink with the three coffee beans floating in it? I'm not sure if that was a legit/original serving method or a marketing thing. Marketers!